Each night there is a show that happens on the Northwest town of Oia on the island of Santorini, Greece. The show is the sunset. Everyone gathers to enjoy a beautiful sunset and they are almost always rewarded. 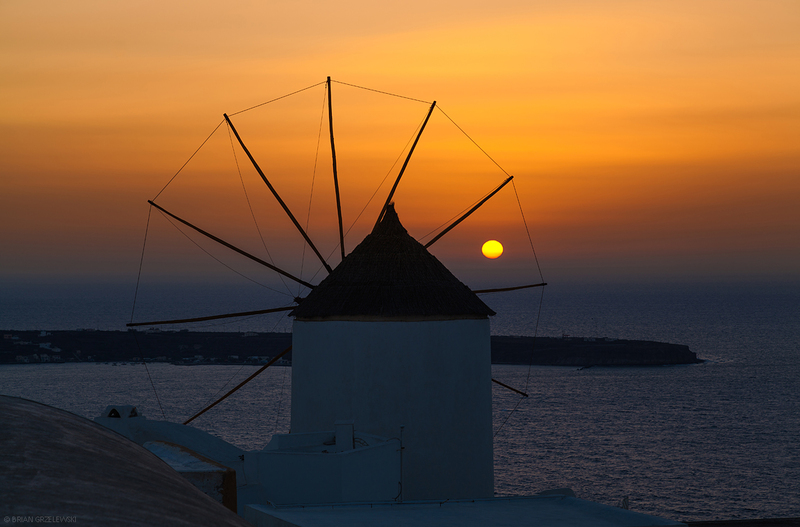 Here, Santorini’s iconic windmill sits above one such sunset.